QUEENSLAND parents are flocking to thumbsucking clinics in a bid to help their kids quit the addictive habit. And while some experts give the trend the thumbs down, the numbers of certified thumbsucking clinicians are on the rise and their books are filled with frustrated parents looking for answers. 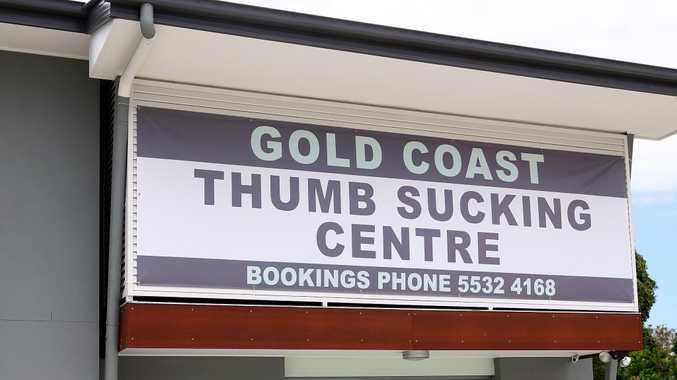 Carla Lejarraja is a world expert in the therapy and runs The Thumb Sucking Clinic in Townsville. "I am a dental hygienist and my daughter was a thumbsucker," she said. "After much research and training I found the techniques that helped her quit her habit. But I wasn't happy to stop there and after more study and further independent research I developed my own thumb and finger-sucking programs." Ms Lejarraja trains new clinicians in Australia and around the world. Psychologist Michael Carr-Gregg says he is concerned that parents have enough to worry about raising children without spending money on breaking a common childhood habit. "Most children grow out of thumbsucking and seeking professional help should only be for extreme cases," he said. "In my opinion, some parents who are spending their money at these kind of clinics have too much money. Children have been thumbsucking for generations." But Ms Lejarraja disagrees and says her results speak for themselves, and her research shows the benefits including facial development, teeth positioning and function of the facial muscles, chewing and feeding behaviours, posture and speech development. 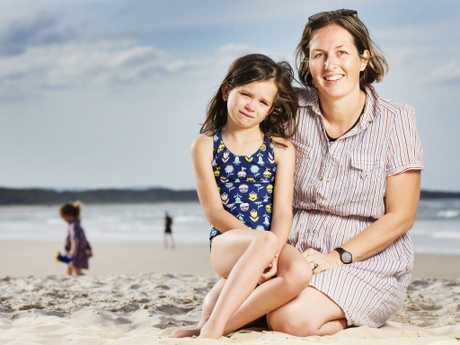 Sunshine Coast mum Alecia Staines says she can understand why parents would seek help. "My seven-year-old daughter Tully sucked her thumb right up until she was almost six. I had decided in my head if she didn't stop on her own by six I would look for professional advice," she said.